"I've always been drawn to classically influenced style guitar playing, especially from the likes of Yngwie Malmsteen, Paul Gilbert, Michael Romeo etc. this type of playing although not heavily influenced in the way I write music, has its place within some of the soloing ideas I've drawn on over the years. 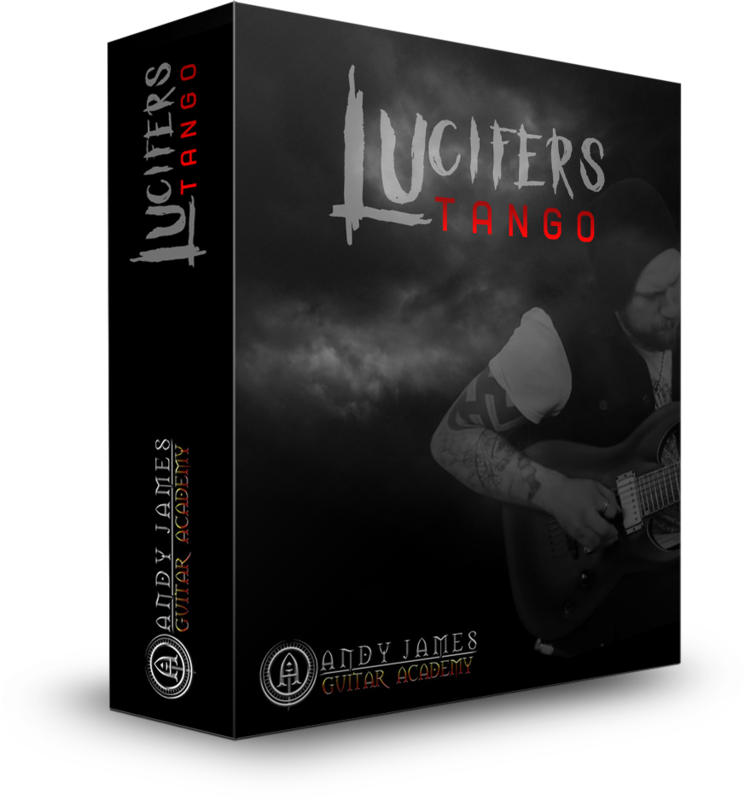 Lucifers Tango was a fun way for me to try something different and apply that classical flavoured edge to my playing into an actual piece of music with a piano instead of raging guitars and a band context. What's interesting about playing like this is it's very technically demanding but also maintains s good sense of melody and awareness of the changes happening beneath the solo guitar. One thing I always focus on is whatever I play, it has to have melodic context and content to ultimately make it a piece of music rather than just a load of exercises thrown together. Learning things like this will give you the ability to do that and will improve your overall technique, especially in other areas of what you already know. It's a challenge, but definitely one worth taking on. Andy has split the track up into 7 parts so you can work on one section at a time, master it and then move onto he next section and so on. Furthermore, to help you speed up the learning of each section Andy has played each part in 3 different tempos, so you can start slow AND see + hear Andy do it slow, then at a medium speed, and then up to full speed. PDF and Guitar Pro files for each individual example and then one complete transcription of the entire piece. People have always asked me for lessons on how to play on drop tunings. In my mind it's just so you can play power chords with one finger instead of two, what could be simpler? Having said that the added benefits are way more, with being able to access other intervals in chords that might be a bit harder to do than if you were just in standard tuning. 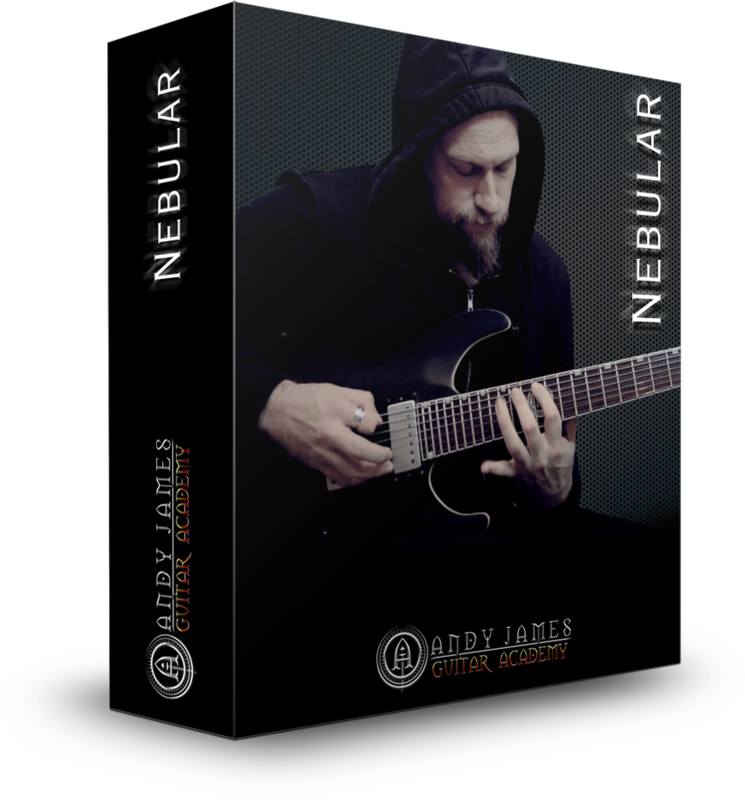 In this solo guitar performance I've called "Nebular" i've tried to incorporate a lot of ideas from things I've discovered that make this particular way of tuning interesting. 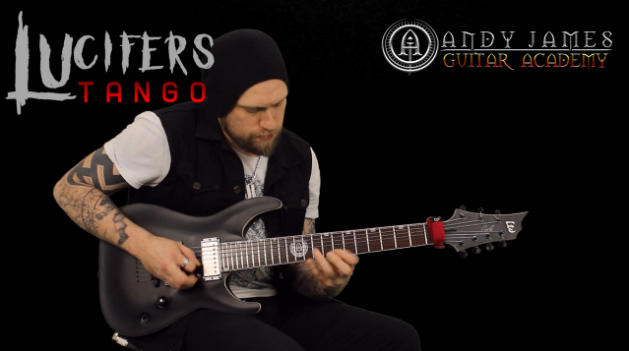 There are rhythmic ideas, use of 3 octave tapping and using this tuning as a way of playing symmetrical arpeggios on the lower strings of the guitar. There are also other soloing techniques that would apply to normal concert pitch tuning as well, so there will still be real world applications for most of the techniques used when in drop tuning or not. 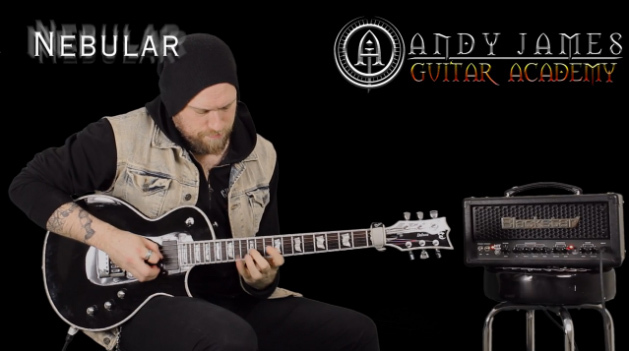 Then Andy has split the track up into 8-parts and three different tempo examples for each part so you can learn it part by part, and also see + hear each part in the three speeds : slow, medium and up to speed! 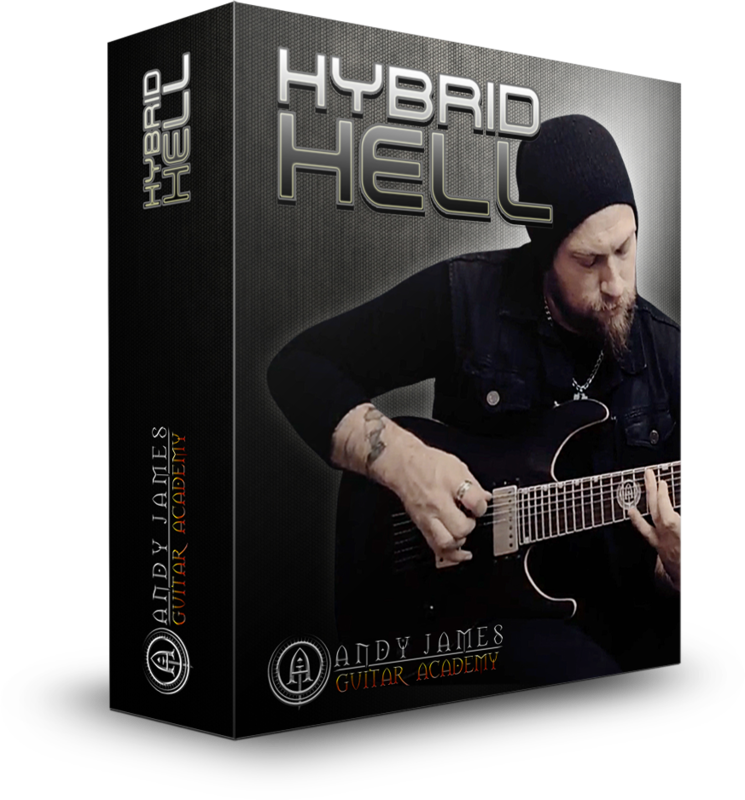 Comes with all audio MP3 examples and downloadable PDF + Guitar Pro files TAB. 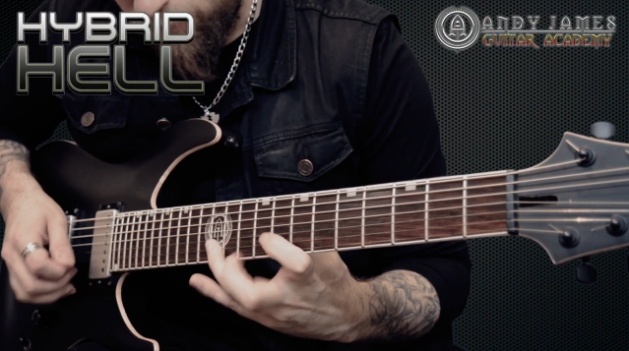 Hybrid Hell is a piece of music i've created to illustrate the benefits of Hybrid picking. To introduce another idea that may not have crossed your mind as an alternative to alternate picking, especially with awkward string skips. This technique allows you to develop new melodic possibilities otherwise left undiscovered and can add a different dynamic to your playing. Many people struggle with upstrokes when picking arpeggios or even pentatonic licks. This series of lessons will help break you out of the norm and have you explore a different approach to the conventional. In this pack which is spread over 8 weeks you will be able to work on different parts of the track piece by piece, and with 3 different tempos to gradually build up to this is a great step by step, easy to follow system to learn the track and now overwhelm yourself. This is so you can work on one part of the track at a time, and each part from a slow, medium and then up to speed tempo. PLUS All tempo backing tracks of the complete track. Sign Up As Premium Member To Access Lucifers Tango, Nebular, Hybrid Hell + All Academy Membership Content Brand New Lessons Update Each Week , Live Members Webinars With ANDY , Private Facebook Members Group & More! Sign Up As Annual Member To Access Lucifers Tango, Nebular, Hybrid Hell + All Academy Membership Content Brand New Lessons Update Each Week , Live Members Webinars With ANDY , Private Facebook Members Group & More! Sign Up As Lifetime Member To Access Lucifers Tango, Nebular, Hybrid Hell + All Academy Membership Content Brand New Lessons Update Each Week , Live Members Webinars With ANDY , Private Facebook Members Group & More!